Listen up, K-pop fans. BTS just launched a colorful new makeup collection. No, your eyes aren’t deceiving you. This is really happening! The beloved boy band collaborated with VT Cosmetics, a popular K-beauty brand. 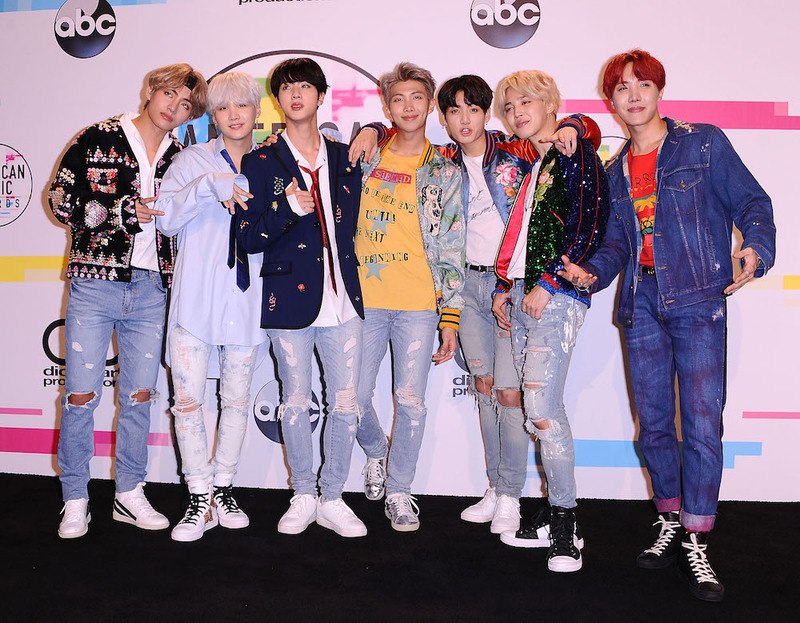 If you haven’t heard of BTS, just know that they’re an amazing seven-member Korean pop group. Lately, they’ve become more popular in the U.S, and they’re taking over the world one hit at a time. Aside from their top-charting music, we love that each member has a playful style. They aren’t afraid to experiment with their fashion or beauty choices. You’ll notice they have colorful hair, incredible skin care and makeup lewks, and unique clothes. So it’s not surprising that they launched another makeup collection. We stan a group that looks this good in colorful suits. According to Hypebae, this is BTS’s second collab with VT Cosmetics, and this time, the BT21 line features adorable avatars that represent each member from the group. It appears the avatars were created in collaboration with Line Friends, which are characters based on the stickers from the messaging app Line. You’ll notice there are eight characters instead of seven. Billboard points out that the eighth avatar represents the group’s fans, known as the Army. Swoon. The uber cute makeup collection includes matte lipsticks, an eyeshadow palette, and a cushion compact. The products launch today, October 12th, at VT Cosmetics. Hypebae also reports that the collection appears to be sold overseas. There hasn’t been info on whether or not it’s coming to the States. Prices start at $13 USD. We can’t stop gushing over the packaging. Basically, this collection has everything you need to look like a K-pop star. Now, let’s cross our fingers we can get our hands on these products in the U.S. soon.